Properties in Florida average 4.6 out of 5 stars. BRAND NEW, 2 MASTER SUITES, GREAT LOCATION, FREE WIFI, GATED COMMUNITY!! Property 3: BRAND NEW, 2 MASTER SUITES, GREAT LOCATION, FREE WIFI, GATED COMMUNITY!! NEW!! Crystal Sands Beach House II at Indian Rocks Beach! Property 7: NEW!! Crystal Sands Beach House II at Indian Rocks Beach! Davenport Home in Tropical Resort w/Pool & Arcade! Property 11: Davenport Home in Tropical Resort w/Pool & Arcade! Beautiful Water views! Water views from the comfort of your condo! Property 12: Beautiful Water views! Water views from the comfort of your condo! PRIVATE, central apartment. Close to Las Olas and beach! 6 Miles to airport. Property 13: PRIVATE, central apartment. 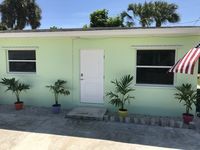 Close to Las Olas and beach! 6 Miles to airport. Brand New Comfy Condo at Storey Lake, 7 Minutes to Disney. Property 14: Brand New Comfy Condo at Storey Lake, 7 Minutes to Disney. Miami Apartment by Coral Gables - Great Location! Property 17: Miami Apartment by Coral Gables - Great Location! Property 23: Waterfront Studio #22, Walk to Beaches, Free WiFi, Pool, Pets, April-May Dates! Lakefront Florida Apartment w/ Boat House & Kayak! Property 26: Lakefront Florida Apartment w/ Boat House & Kayak! SPECIAL RATES! Southern Pool with Spa, Privacy Fence, Star Wars Themed! Property 29: SPECIAL RATES! Southern Pool with Spa, Privacy Fence, Star Wars Themed! 4 bed pool home, centrally located in Seasons Blvd near Disney! Property 34: 4 bed pool home, centrally located in Seasons Blvd near Disney! Wyndham Resort 1700 S.F. 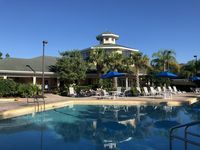 3 Bedrooms Condo with heated Pool, 5 miles from Disney! Property 41: Wyndham Resort 1700 S.F. 3 Bedrooms Condo with heated Pool, 5 miles from Disney! Oceanfront Resort Condo Steps to Daytona Beach! Property 43: Oceanfront Resort Condo Steps to Daytona Beach! Beautiful New Condo! Steps from the Pool and Beach! NEW to Market! Property 49: Beautiful New Condo! Steps from the Pool and Beach! NEW to Market! Spacious condo with great lake-views! Rating Details: The property manager was very helpful. The vacation rental was very clean. I was very happy with the location. I was more than satisfied with the condition of the vacation rental. Overall, I recommend this vacation rental. Reviewer Comments: We had 6 people comfortably stay for the week in this great space. The place was clean, the owner was really great to work with and the view is fantastic. Great proximity to all of the orlando attractions. Just minutes from universal and disney. Would absolutely return. House was very nice and had everything we needed. We had plenty of room for our family, and our children enjoyed the pool.